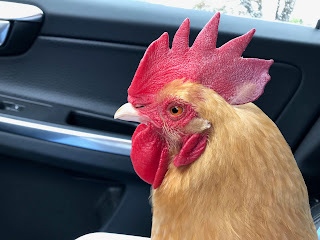 The trials, tribulations and adventures of raising chickens in the suburbs. It's been forever since I blogged. I've switched over to Instagram which is faster and easier with my busy schedule. But I wanted to write one last Blog before I officially go dark. We lost two birds last week and I'm broken hearted today. I'm hoping that expressing my thoughts here will help me move on from this dark place. When I got chickens 9 years ago, I read multiple books and articles. I went to lectures and asked lots of questions. I thought I was prepared. Turns out, I was not. 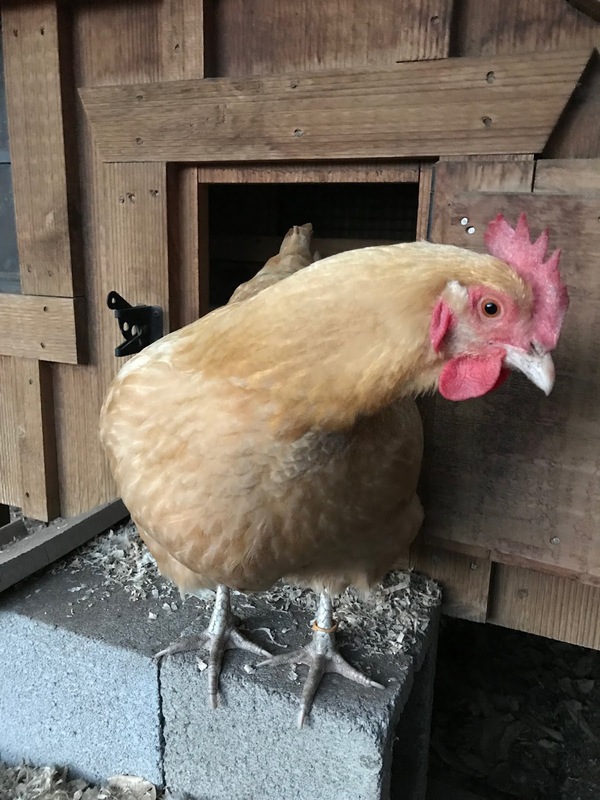 What I've come to understand is that many, many chicken keepers have flocks of 10 or more chickens with a rooster that free range most of the day. And that flock has a completely different dynamic than a flock of 4-6-8 hens, who spend most of their day in a large run with no rooster. Three years ago I bought 6 more day old chicks, 4 Buff Orpingtons and 2 Cochins. One of the Cochins went lame after about a year and we had her put down. She had a large cyst inside her leg and must have been in pain. That was rough on me because she was the sweetest bird in the world. 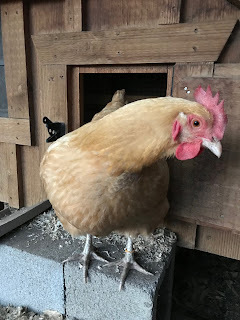 I even considered amputating her leg and making her a house chicken. But that just didn't feel right. Last week I found my big Mrs. Patmore dead under the roost. She was a big hen and loved to eat. I'm sure she was fat. But short of limiting her food intake, what does one do? She would go to bed with a softball sized crop when the other hens had golf ball sized crops. About a year ago, I noticed that the back of her comb would be purple in the evenings. That's a sign of poor circulation or stress. I really never thought she was stressed. But again, what do you do about this other than keep an eye on it. She'd be fine and bright red in the mornings. But clearly, there was something not right going on there. She was also my "lesbihen" and mounted Lady Mary and Bella. Another thing that the books don't cover. I did research as best I could and came to the conclusion that there was nothing I could do. And since she didn't have spurs, she'd likely not hurt the other hens and to just ignore her ways. This is Mrs. Patmore in my lap. Notice how the back of her comb is a darker purple than the bright red on the front? What I didn't realize is her status in the flock was keeping Lady Mary in check. About 18 month ago, Lady Mary started to look more and more like a rooster. She developed this HUGE comb and wattles. She grew a ruff on her neck. She would tid-bit for the other hens and rooster dance. She would also bite me. 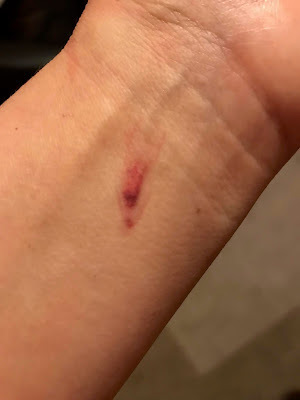 Look at this bite on my wrist from Lady Mary. You can clearly see the outline of her beak and where her tough chomped me. She knew right where to get me where the skin was thin and tender and those bites really hurt. But I thought I could win her over by being gentle and sweet to her. I was wrong. These photos are of Lady Mary. The one on the left from when she still identified as a hen and laid eggs. The one on the right was taken recently. Clearly, looking more like Lord Grantham than Lady Mary. When Mrs. Patmore passed, Lady Mary turned aggressive. REALLY aggressive. She attacked me hard and wouldn't back off when I pushed her off of me. And the final nail in her coffin was when she started to crow. I'm not allowed to have a rooster. And one could argue that she was really a hen. But I didn't want to upset the neighbors nor did I want Animal Control to come remove her. Unfortunately, I'm now in a quarantine zone as a case of Virulent Newcastle Disease was discovered about 15 miles away from me. So all of the local vets in my area that would normally treat chickens, have stopped. Thankfully, my regular vet made an exception and agreed to euthanize Lady Mary for me. She did it in my car as I'm not allowed to bring her into the vet office. She also did a quick necropsy and found that her female ovary had shriveled to about 25% of its normal size and there were no yolks present. And here's where it gets really interesting, her other ovary had morphed into a testicle. So she really had turned into a rooster. I feel I made the right decision in putting her down. I was tired of being bitten and flogged by her/him. And the crowing was just not going to fly. If I could have given her/him away, that would have been an option. 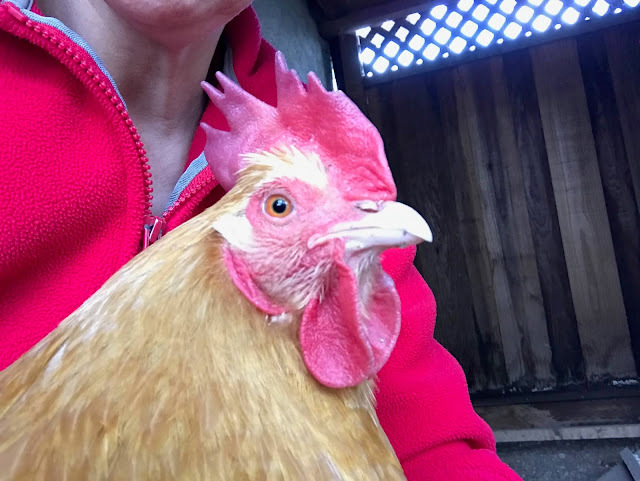 Although, I've read that if she/he goes to a flock w/ a rooster, she would likely turn back into a hen and she was always this little timid hen and would that subject her to a life of being bullied? Tough questions to answer. Again, the books just don't cover this stuff. So I sit here conflicted and frustrated. I feel I've had every bizarre, that just never happens, situation with my small flock of hens. 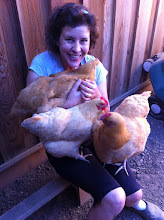 If I knew I'd struggle like this when I first got chickens, I can confidently say, I would never have gotten chickens. Having a heads up that some of these things might be a possibility, I think I could have handled some of these situations better. Especially, if I had some guidance on what to do in those situations. 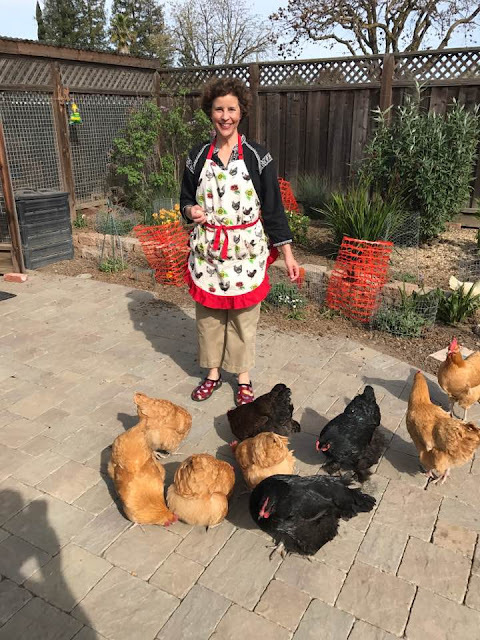 So now there are 5 hens. All get along well. Marigold gives Bella a little grief. But really hoping that doesn't get worse with the loss of the two hens this past week. I'm really done with the drama and issues. I will not add to this flock and will be done with backyard chickens once these ladies pass. 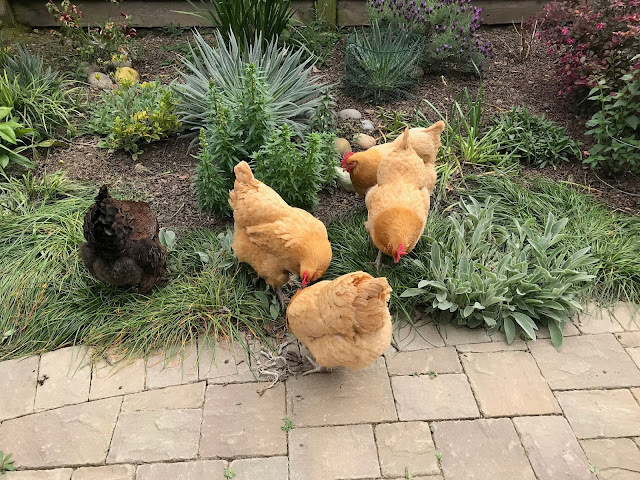 I will always love chickens, but these are my last 5 chickens I will ever own. That is so sad, I feel your pain. I have had my own drama this week and lost my beloved Dandelion. I have kept looking in here from time to time and wondered where you had gone. I am glad you decided to do a last post as at least I know where you are up to now. I only recently read about someone who had a hen turn into a cockerel and it's not something I had known about either. They did a video of him crowing to prove the point. It's sad that you have decided to eventually give up chickens because I know how much you love your girls. I am in a difficult position now too as my vet refuses me any more access to tylan so I don't what our future will be but it would break my heart to lose my girls.